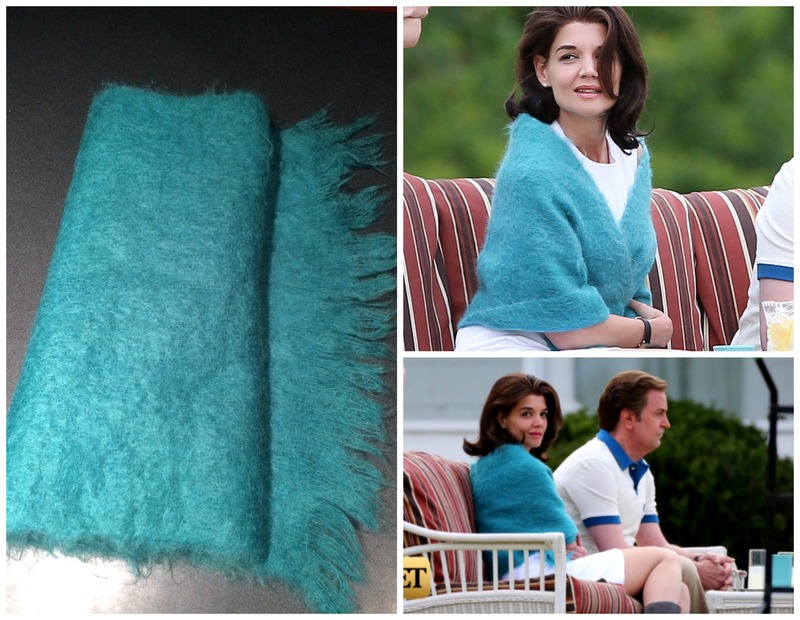 We Spy with Our Little Eyes, IDC’s Scarf on Katie Holmes as Jackie Kennedy in After Camelot! Of course we love seeing Ian Drummond Collection wardrobe rental items in action when the projects finally air – but when Entertainment Tonight and In Style pick up on how well the designers are doing when it comes to turning Katie Holmes into Jackie Kennedy during the process of filming, we’re especially thrilled for them. Nearly every day we get to see how hard the wardrobe department is working, and we love the challenge of helping them to tick their boxes. THAT’S how much Ian and the staff at IDC care about the fantastic designers that come into the studio and the lengths we’ll go to – we’re grateful to be a part of such notable projects!